Steampunk is a bit of a riddle. It combines old-fashioned style and an industrial look with the futuristic fantasies of science fiction. 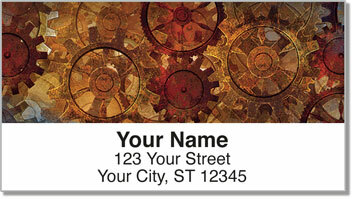 The steampunk world is full of amazing, steam-powered inventions crafted from iron and full of turning gears. 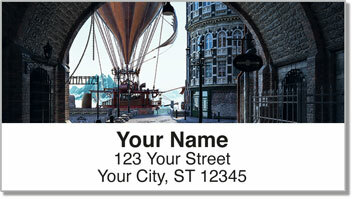 The genre is expertly captured on this set of return address labels from CheckAdvantage. They make an interesting finishing touch for your letters and packages by giving them an antiquarian appearance reminiscent of the Victorian era. But what you'll really love is how they make preparing outgoing mail extra easy. 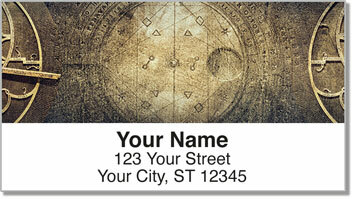 Just peel and place using the self-adhesive backing. 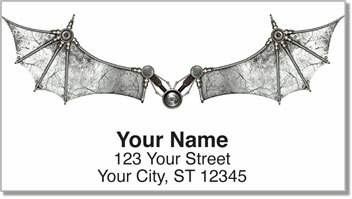 Get your very own Steampunk Address Labels right now! Order them with a set of matching personal checks.